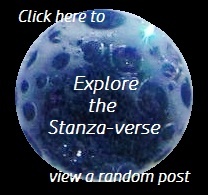 Icon Underfoot | What Rhymes with Stanza? We never seem to appreciate a good thing until we lose it. And sometimes things don’t even become appreciable until we face losing them. 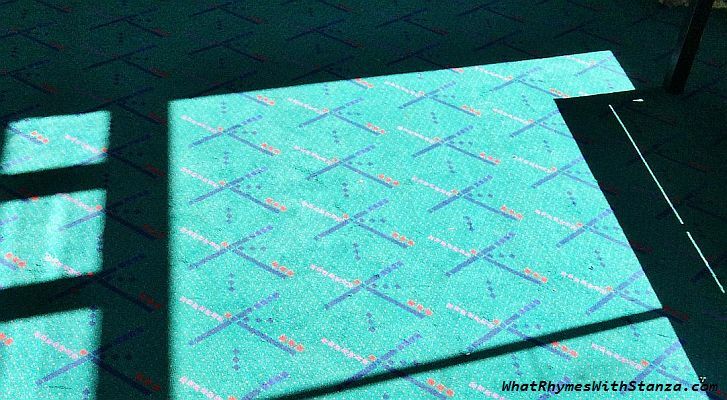 Case in point, the iconic PDX carpet in Portland, Oregon. 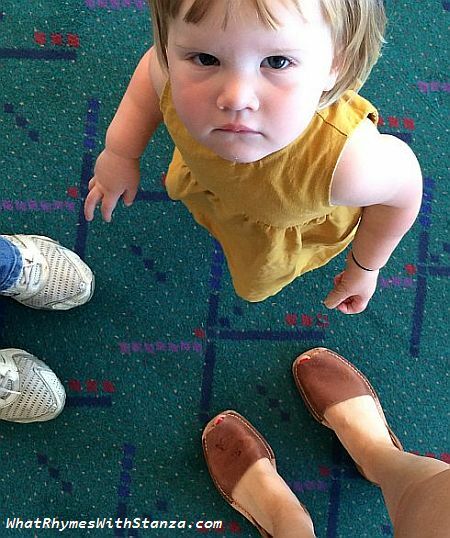 Granted, the old carpet at the Portland International Airport (PDX) is — shall we say — tacky. Designed in 1987 and installed in the early 90s, the teal background features a geometric pattern intended to represent the intersection of the north and south runways at PDX as seen from the control tower at night. I’ve trodden the carpet a number of times, mostly to meet incoming friends or relatives, or to see them off on some adventure. And I never gave the floor beneath me a second thought. The first thought, however, was as I’ve previously stated, “tacky.” Worn and stained teal just isn’t my favorite color. Nor does it match my luggage. Which is black. That tells you how bad it is. So when I started seeing photos appear on Instagram and Facebook of people’s feet on the carpet, I didn’’t get it. I went to my source of all things trendy quirky (my daughters), and learned that there is a cult following of the PDX carpet, and that that’s a “thing” now, photographing your feet as you pass through the airport. Foot photo on the original PDX carpet. The PDX carpet has its own Wikipedia entry, its own Facebook page with 13,000 likes, and its own Instagram hashtag (#pdxcarpet) with almost 64,000 photos to date. Oh, and it was the Grand Marshall in this year’s annual Portland Starlight Parade. 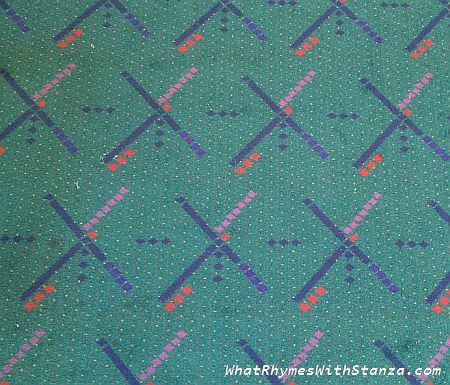 The recent spike in popularity of the PDX carpet seems driven by the fact that the 25 year old design is being retired as a new carpet installation is underway. Yes, the 14 acres of teal carpet are disappearing as we speak. 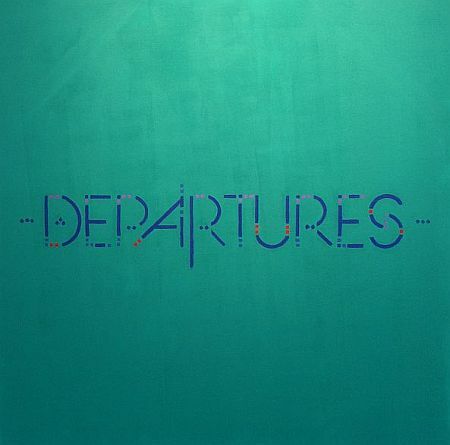 Well, not disappearing. As is typical of many outmoded items in Portland, the carpet is being repurposed. The grottiest parts will be recycled, but the remaining pieces are available for sale in various shapes and forms. While the carpet has been referred to as a “hipster icon,” I find myself climbing onto the nostalgia bandwagon, too (and I assure you I am not hipster). So of course I had to go to the art exhibit that was set up in Portland to honor the retiring carpet. Not a very large exhibit, and not overly impressive, but oh-so-Portlandia. I got to photograph my feet on the carpet one last time, play the PDX-upholstered piano, and check out other carpet-inspired art. I haven’t seen the new carpet yet. In the shadow of the original PDX carpet, it will have some pretty big shoes to, um, underlay. My guess is that, while it may never reach Grand Marshall status, it will probably eventually be embraced in its own right. That’s just the way Portland is. This entry was posted in Oregon, photo essay, Photography, weekly photo challenge and tagged airport, art exhibit, carpet, Oregon, PDX, pdxcarpet, photo essay, photography, weekly photo challenge. Bookmark the permalink. “Iconic” is certainly the word. Wow. What an interesting story. I had no idea, but then I’m in MN and I don’t travel. The more I hear about Portland, the more I like it. 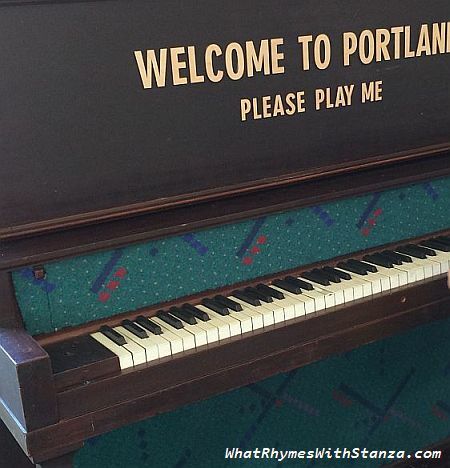 Yes, Portland is unique, to say the least. Glad you liked the story. Way too funny! I smiled as soon as your photos loaded… as one who lives in PDX metro area… I have to admit, I will miss that familiar old carpet. I haven’t seen the new one yet. Love the historical perspective you shared. Thank you! I had been vaguely planning this post, but when the Daily Post photo challenge came up, I figured it would fit perfectly. Glad you enjoyed it. You made a great call on the one, Maggie. 🙂 It is a perfect fit!